The Mwambashi River Game Lodge is situated on the banks of the Zambezi River. This Game Lodge offers a truly African Wildlife Experience. 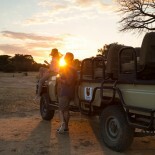 From game fishing to game drives and bird watching walks. This game lodge is situated on an unspoilt stretch of the Zambezi River allows travellers the opportunity to enjoy Africa in all its natural beauty. Mwambashi River Game Lodge is equipped with all the amenities to ensure a comfortable and well catered for stay. 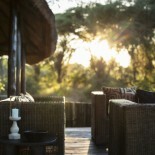 The Game Lodge can accommodate up to 22 guests in 10 luxuriously African suites. The pool and pool deck is situated right on the edge of the river with breathtaking views of the Zambezi. 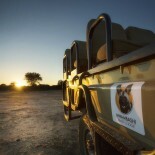 A classic way to encounter Africa’s animals up close and personal is with one of our daily game drives. The Game Lodge has highly experienced guides who conduct the Game Drives, making them both informative and unforgettable. You can expect to see elephants, leopards, lions, buffalo, hippopotamus, kudu, zebra, waterbuck impala, hyena and if you’re lucky enough, wild dogs and the most amazing birdlife. 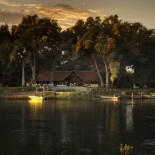 A signature experience of the Game Lodge is game fishing on the Zambezi. Here, man and fish meet under the African sky, an encounter that has many fishermen coming back to the Game Lodge year after year. While the guest lodge offers guests a choice between bait and fly fishing. Mwambashi River Game Lodge prides itself on being eco-friendly and Tiger Fishing is strictly catch-and-release to preserve this beautiful game fish and ensure that future generations can enjoy this wonderful wildlife experience for years to come. 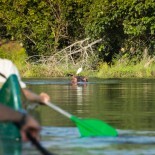 Experience our Game Lodge and African wildlife at its best, by canoe. Paddle along the Zambezi river with a professional guide for a truly exhilarating African Game Lodge experience. 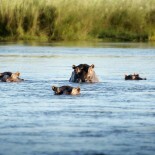 Enjoy the tranquility of the bush by boat and encounter crocodiles and hippopotamus, elephants, buck and birdlife. 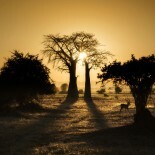 The Mwambashi River Lodge is ideally situated on the banks of the Zambesi River near the confluence of the Mwambashi River and the Zambezi River. See the map below.